Sandhills Baby and Birthday Signs is the Fayetteville and surrounding areas’ #1 stork rental service and birthday yard sign company! We proudly deliver birthday yard sign displays, flamingo signs, baby shower signs and birth announcement storks throughout Sanford, Southern Pines, Apex, Pittsboro, Holly Springs, Raeford, Pinehurst, Spring lake, Cameron, Carthage and neighboring towns! 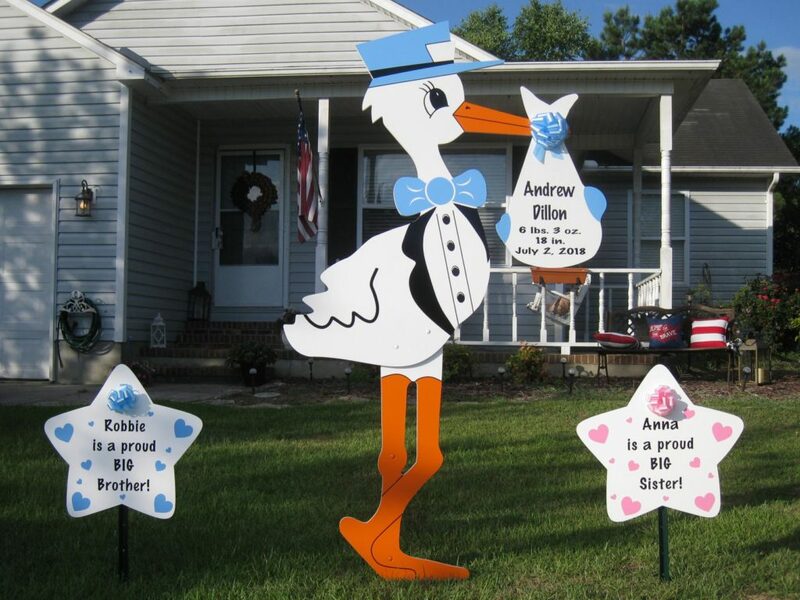 Call us at 910-723-4784 to reserve a birthday yard sign or a birth announcement stork for your new baby! Visit us on Facebook, Pinterest, and Instagram, too!